It’s time again for an installment of the latest story arc for Hey Kids, Comics! And this outing is, well, super! Andrew Farmer and Cole Houston continue their spoiler rich explorations of recent comic book related television shows and movies with a look at the second season of The Tick from Amazon Prime! In all actuality, this issue delves into the original comic book from 1986, the cartoon, and the ill-fated Fox live-action show, essentially the precursors of Amazon’s incarnation. Catherine Houston (a.k.a. Mrs. JediCole) was the ideal guest to join your hosts, bringing a long history as a fan from the late 80s to the present. Share in this exploration of the well-meaning but often clueless champion of truth and justice, his trusty partner, their arch nemesis, rise in the super-human community, and the crazy cast of characters that make up a sophomore that outshines its predecessor! Welcome to the newest HKC! story arc, “What Did We Just See?” An exploration of five current and upcoming (as of press time for this issue) movies and streaming television shows, this arc will feature lots of great guests joining Andrew Farmer and Cole Houston for lively discussions. This week they play host to an appropriately full house as they discuss the slice-of-life family drama known as Umbrella Academy! In all seriousness, Netflix’s adaptation of the Dark Horse Comics favorite is delved into from every angle with the help of DeNae Cortez (Wonder Twin Powers Activate Show) and Rick Gutierrez (The United State of Geekdom - and Amazing Comicast back in the day). With this collection of fans chiming in, expect a spoiler rich episode, so you had best binge the series before joining the fun. Everyone has so much to say that one hour was scarcely sufficient, yet this group of seasoned podcasters made it happen. Discover their take on Luthor, Diego, Allison, Klaus, Number 5, and Vanya (along with Sir Reginald, Pogo, Hazel, and Cha Cha) in a conversation that did not want to end! The latest issue is here…if a touch later than hoped. This week Andrew Farmer and Cole Houston go all in with a look at M. Night Shymalan’s epic trilogy - Unbreakable, Split, and Glass! With all of the ingredients for an amazing series of films, the three combined become a love letter to comic book fans everywhere. Rich with super-human tropes, Shymalan’s trilogy is influenced heavily not only by comic books, but by comic fandom culture. Your hosts take an in-depth look at how one film became three over nearly two decades and delivered one of the most satisfying movie series ever! Enjoy this look at a phenomenon that began in 2000 and surprised audiences in 2016. Then brought things full circle in the most amazing way earlier this year. But only if you have seen these three films as this issue is spoiler heavy! Well, Andrew Farmer and Cole Houston are back, but backed up! Time to release the last couple of weeks’ issues in advance of Friday’s first new on-time release (Issue 306!). “JediCole” at All-Con 2019 with Jack Staufer and Herbert Jefferson, Jr. of Battlestar Galactica. 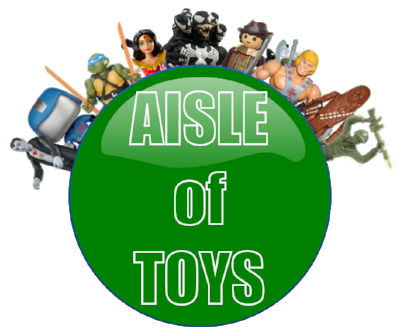 Though your hosts were fairly well rested after the convention, they were not quite ready for a full scale issue and recorded this “Ashcan Edition” with a mix of All-Con recap and other general comic book goodness. Stay tuned for HKC! #305 with a long overdue look at perhaps the greatest comic book trilogy in cinematic history! This “crime and punishment” collection brings together 2016’s Comic Book Capers arc which consisted of…I’ll See You in Court (#177), Exit Through the Comic Shop (#178), The Copyists (#179), Comic Book Heroes (#180), and The Curious Case of Anthony Chiofalo (#181). A norther European invasion arrives at Hey Kids, Comics! as the show continues the All-Con 2019 hiatus. This week the boys (?) from Ultron Cafe present the latest collected story arc. This week’s “trade paperback” collects the Alan Moore story arc along with a bonus issue, the Creator Spotlight that highlighted the author and inspired five issues that soon followed: Creator Spotlight #4: Alan Moore (#130); The Works and Days (#135), Ego Ipse Custodes Custodio (#136), I am Legend (#137), A Vast Wasteland (#138), and When You Gaze Into the Abyss (#139). And now a classic arc that explores a classic theme as played out in comics. cramming seven sins into five issues! Back issues include You Wouldn’t Like Me When I’m Angry (#67); Enough is Never Enough (#68); You’ve Got What I Want (#69); Look Upon My Works, Ye Mighty (#70); and A Big Meal and Then a Nap (#71) from 2013. As the pre and post-All-Con hiatus continues, members of the Muggerville Seven have arrived to introduce the third collection of past issues of the show. This outing we have “It Came From the License”! Andrew and Cole are mired in preparations for All-Con 2019, but as you will hear, the Angelos were happy to come to the HKC! studio and lay down an introductory track for the second “trade papberback” collected edition of the show. And now…the reprint of the exploration of economics, finances, and commercial pressures on the comic industry from way back in 2012…the early days of Hey Kids, Comics! Stories in this arc: Die-Cut Embossed Foil Bagged With Exclusive Trading Card (#8); Collection Equals Tuition (#9); The Long, Strong Arm of Marvel (#10); The Never-Ending Eulogy (#11); and Pandering for Paychecks (#12). The HKC! Hiatus is about to begin, but Andrew Farmer and Cole Houston are proud to present one last new show before they go…and this one is all about them! What comics do your hosts love so much that they would want them among their personal effects if they ever got stranded on a desert island? While neither of them would have the slightest hope of survival, at least they would be entertained by the comics that they talk about in this special issue of the show. Welcome to the last pre-Spring Hiatus issue of Hey Kids, Comics! This week your hosts Andrew Farmer and Cole Houston celebrate the unexpected success of Warner Brothers’ latest Justice League tentpole film, “Aquaman” with a look at the character as portrayed on television and in the movies. 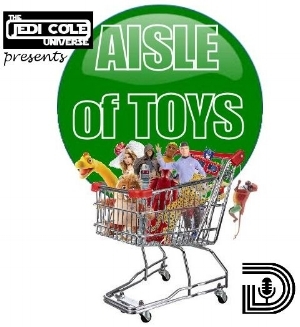 JediCole’s all time favorite super-hero is finally getting his due and your hosts are all about discovering how this staple of the Justice League of America has fared over the decades outside of comics. Tracing the off-panel career of Arthur Curry from the 60s to the present day proved to be a journey that put the on-screen quest of Aquaman and Mera to shame! From the requisite Jason Mimosa jabs to the Victor Buono connection, there is a lot of ground (all of it submerged) to cover when discovering the history of Aquaman on screen! Joining the discussion, and bringing vast knowledge of both Conan and his creator, is Jefferson Harris - Dallas area artist and comic aficionado. Discover how the famous Barbarian found his way to Marvel Comics, the character’s nature as depicted in novels, and just what the word “barbarian” means! Expect references to varied incarnations of Conan, from Marvel to Dark Horse Comics to the Arnold Schwarzenegger cinematic epics to the character’s origins as a pulp icon. And lots of Mako impressions! Christmas has come and gone for another year, but Andrew Farmer and Cole Houston were still enough in the Yuletide spirit to explore the holiday, and especially Santa Claus, on comic covers! Welcome to the first ever “Cover Stories”, a new feature that will occasionally have your hosts and a guest discussing various comic book covers. Not so much what lies inside, just what the publisher put “up front”! This time they are joined by show regular and podcasting veteran Eddie Medina of The Rantcor Pit Live! Hitch up the reindeer and don your big red suit because Hey Kids, Comics! has loaded up a sleigh full of amazing Santa and Christmas covers! Hey Kids, Comics! #300 - THIS IS SPARTA! Welcome to another epic milestone in the history of HKC! And what better way to celebrate than to get (semi) historical with a look at Frank Miller’s “sword and sandals” opus, “300”? Andrew Farmer and Cole Houston are joined, as they are want to be when tackling such a significant topic, by Kelly Long for this issue. Bringing with her as always a fan’s love of the medium and a scholar’s knowledge of the Classical Period, she elevates the first episode of 2019 to lofty, Olympian heights. With discussions primarily surrounding the graphic novel and the liberties it took with actual historical knowledge of the Battle of Thermopylae, this show would be remiss not talking up the sepia-toned epic of the big screen. Every angle of “300” is explored in this mini-epic issue of the show. So grab your shield and spear, your battle cap and bronze helm, and dine in Hell with Hey Kids, Comics! Welcome Green Lantern fans (and comic book fans, or fans of Hey Kids, Comics! for that matter) to the last issue of 2018. At least the last published on Podbean in 2018. 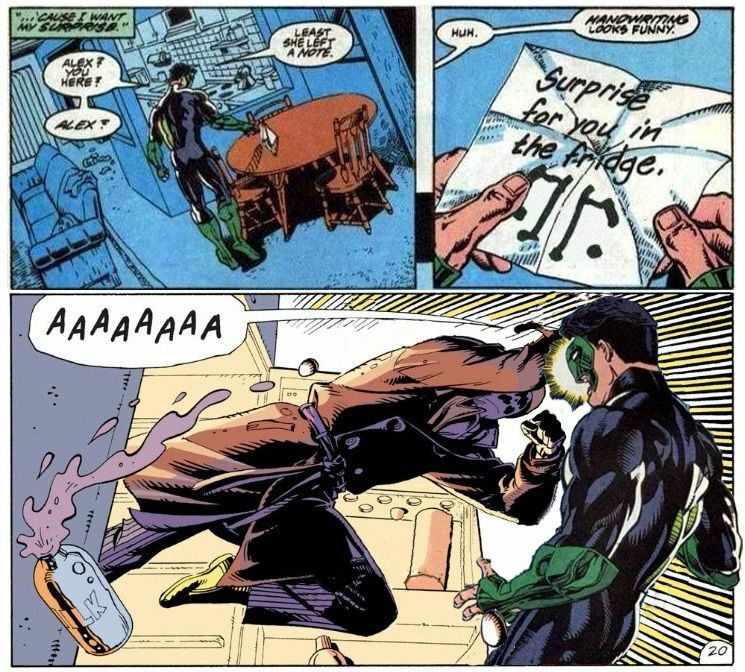 “It’s Not Easy Being Green” concludes with your hosts Andrew Farmer and Cole Houston discuss the high points in the career of Hal Jordan and other members of the Corps. An uplifting exploration of the modern Green Lanterns after the previous issue with its down notes, this outing offers some of the best and most fascinating tales. All wrapped up in a willpower generated green gift bow! Join the fun as Andrew Farmer bids farewell to the arc that was created by JediCole with him in mind. This episode is shows that, at times, it’s easy being green! Welcome to the penultimate chapter of “It’s Not Easy Being Green”! Andrew Farmer takes the forefront as he and Cole Houston take a look at the darkest times for Earth’s many Green Lanterns and the Green Lantern Corps. Not simply a look at the story arc that introduced the full spectrum of Lanterns, this issue delves deep into the worst days of many a Green Lantern, the times that threatened to ruin them mentally or physically. Willpower is not always enough when disaster strikes. Join your hosts for a darker kind of green before things take an uplifting turn with the next issue. They promise! There is strength in numbers. No question about that. So after the modern Green Lantern was introduced it was little wonder that it was revealed that, unlike his mystic predecessor in comics, he was not alone. Far from alone, actually. The Oan’s personal intergalactic police force has proven to be legion. 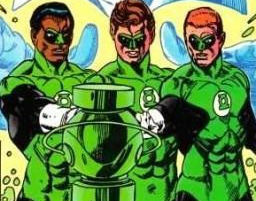 Over decades many a writer and artist have introduced one or two or even more new members of the Green Lantern Corps to the point that it seems that their ranks are endless. 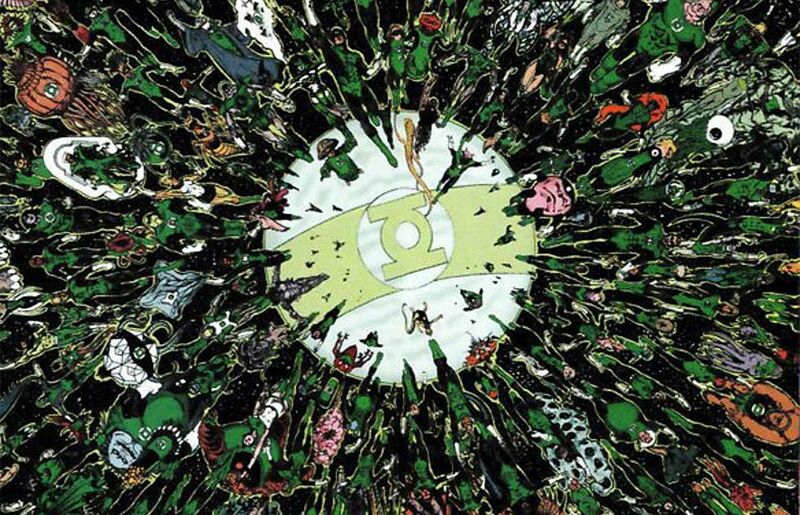 Your hosts Andrew Farmer and Cole Houston take a look at the seemingly endless parade of Green Lanterns in the middle chapter of “It’s Not Easy Being Green”. With only an hour available for such a daunting task, they cover as much ground as possible in regard to this iconic super-hero community. Green Lantern is the focus of the latest story arc for HKC! In this case Hal Jordan, the Green Lantern of the Silver Age of comics. Andrew Farmer takes the lead in discussing his favorite super-hero as the next chapter of “It’s Not Easy Being Green” unfolds. Cole Houston lends his own insights and thoughts on the career of Hal Jordan as Earth’s emerald protector. Discover the transition from a Green Lantern of mystic origins to one straight out of the realms of alien science as the five-part exploration of Green Lantern continues!